St. David’s Round Rock Medical Center is part of St. David’s HealthCare, one of the largest health systems in Texas, which was recognized with a Malcolm Baldrige National Quality Award in 2014. 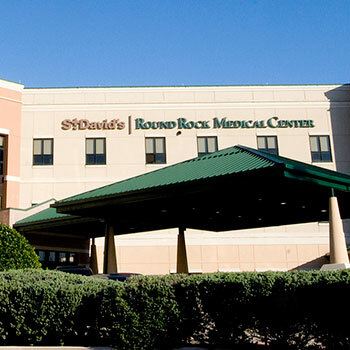 With 171 beds, the hospital’s comprehensive services include advanced cardiac care at the Heart Hospital of Austin at St. David's Round Rock—the first specialized cardiac facility in Williamson County—with the only Hybrid Operating Room (OR) in the county; as well as emergency services in a 24-hour emergency department, including advanced trauma care with a Level II Trauma Center; St. David's Urgent Care Round Rock; and St. David's Emergency Center in Cedar Park. St. David’s Round Rock Medical Center is also known for providing advanced orthopedic and robotic services, among other complex specialties. In 2016, the hospital received the Distinguished Hospital Award for Clinical Excellence from Healthgrades and also earned a national distinction for patient safety from The Leapfrog Group.